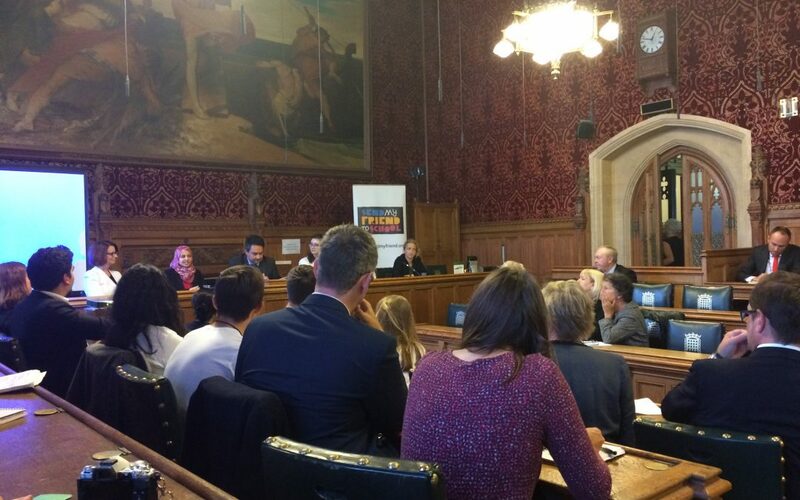 The APPG organised a panel event in Parliament, with Julia Gillard, Board Chair of the Global Partnership for Education, Chair of the International Development Committee Stephen Twigg, Anna French from the Department for International Development, UNICEF Goodwill Ambassador Muzoon Almellehan from Syria and Rita and Sophie, year 11 campaign champions from Send My Friend to School. The panel focused on the importance of quality education for all and the upcoming financial replenishment of the Global Partnership for Education. 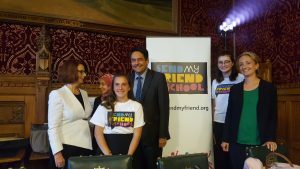 Over 15 parliamentarians attended, including shadow Foreign Secretary Emily Thornberry MP, shadow Education Secretary Angela Rayner MP and the former Secretary of State for Education Nicky Morgan MP. Afterwards, the APPG had its inaugural meeting of this Parliament and AGM. Stephen Twigg was elected as Chair of the APPG, and a cross-party group of 11 parliamentarians were elected as office holders. Send My Friend Campaign Champions with Julie Gillard, Stephen Twigg and Anna French. Photo: Send My Friend to School.